Little kids can be fickle monsters – one day they like cheese, the next it’s disgusting. So it’s not surprising when they often prefer one parent over another (and it’s not always the mum). This can be upsetting and challenging for parents, when one is feeling rejected and the other is battling a case of the guilts for being the flavour of the month with their toddler. But what’s a favoured and rejected parent to do? It’s tempting to snap at your child when they’re screaming for their other parent and not you (especially if your partner isn’t available), but this is the worst thing you can do. Being angry, or even showing that you’re upset by crying or withdrawing, will only make the situation harder for both of you now and in the future. So try not to feel rejected and instead calmly let them know their request for the other parent has been heard so they know you understand – even if you’re the only one currently available and therefore the only option. It’s also important not to bring incidents up again, for example if the next day they do want to spend time with you, don’t remind them that they didn’t yesterday. It can be very challenging for parents when only one is always in demand and sometimes it seems easier to just give in and let one of you step aside. But this isn’t a good idea because not only is it unfair, but what happens when the favourite isn’t available or is too exhausted (such as when dad is away with work or mum has had a second baby)? You need to help toddlers become more comfortable with either parent, and a way to do this is to create special one-on-one time for them with each of you. So if you are the favoured one, be sure to allow your partner to take over some of the things you do with your toddler and vice versa. Fun outings and special activities are also a nice way to ease into it if your child is particularly resistant, and creating a schedule is another option to help them feel a sense of routine – e.g. Mummy always reads stories on Wednesdays. Although your toddler may be playing favourites, this isn’t a competition so don’t try and push for their attention or make your partner feel guilty or upset about it either. You need to be a united, loving front at all times and support each other in front of your child. You also need to make sure there’s a good balance between you both – so don’t revert to good cop/bad cop roles, because this might encourage them to only want to hang out with the one that doesn’t enforce discipline. 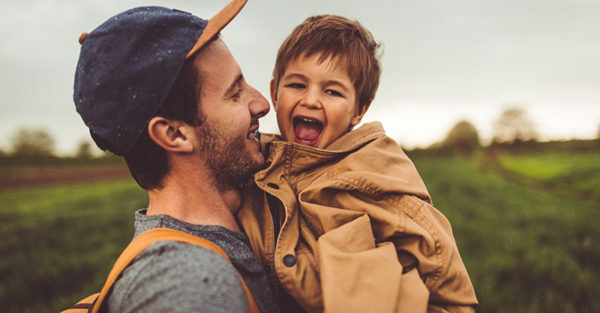 Remember to always tell your toddler you love them too – even if you’re not the favourite and you hate their behaviour – and just like many of the other difficult stages small children go through, in time this phase too will pass.